Under the hot sun and sea breeze of Cancun, Distributors from Latin America gathered to continue our 10-year celebration at the Unite Latam event, our last major event of the year. 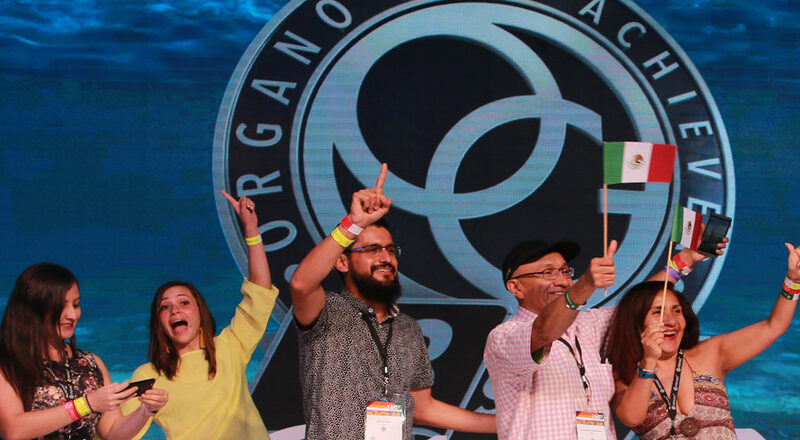 Hosted at the Cancun International Conference Center with breathtaking views of the ocean, the energy, and passion from the OG Family was felt all over Latin America. The first day of the event was filled with invaluable training from leaders such as Oscar Lizarraga, Cesar Muñoz, Anthony Prekop, Hanoi Driggs, Carla S. Marin, Carlos Gutierrez, Jessica Jimenez, Luis Alberto Daza and his wife, Maria Julia Prudencio. The training was filled with valuable topics that included getting started, promoting events, following up, and other relevant topics to help Distributors grow their business. 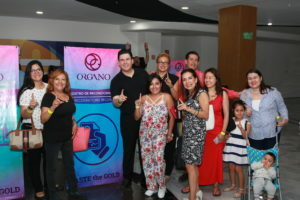 Events like these are an essential element of ORGANO, and they help Distributors build belief and drive sales. Hearing personal testimony from Distributors who started at the bottom and climbed the ladder of success at OG helps build new ideas from where to draw inspiration from. Our next major event will be in Las Vegas at the Ultimate Training Experience. This event will be attended by many of our Latin American leaders, and you’ll be able to learn from some of the top Diamonds in the region. Distributors who worked hard and qualified for the VIP training at the end of day one got a real treat when our Global Brand Ambassador Mr. Holton Buggs showed up to close an amazing training session started by Blue Diamond Cezar Muñoz. Those who took notes will be watching the masses and doing the opposite, the theme of Mr. Buggs training, who provided specific examples and anecdotes of his own experiences in the business. 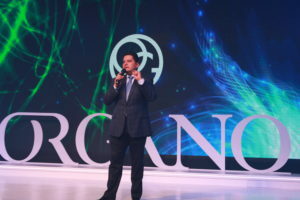 Our Regional Director for Latin America pumped up the crowd for what was about to be a great event and introduced our CEO Mr. Bernie Chua to the stage. 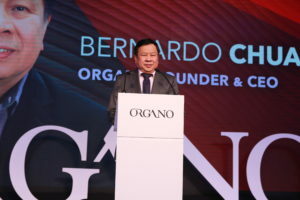 Mr. Chua reminded the crowd of the great achievements from the region this year and how this event marks the end of our 10-year celebration but just the beginning of our next ten years. He renewed his commitment to continue to work with all the regions to improve and expand our product offerings, and to bring the treasures of the earth to the people of the world. Our Senior Partners Paul Caldwell and Ken Finn also took the stage to inform our Distributors of the new improvements coming to OG and steps we have taken at the Corporate level to change our mindsets and better our personal development. 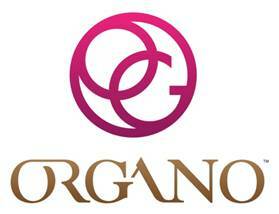 Paul and Ken are investors in OG and committed to working with all of our customers (retail and wholesale) to bring ORGANO to the next level. Brian Brown from our Partners at Infotrax explained the new changes coming to the back office and the steps we’re taking to ensure a smooth transition. He took questions from the audience who were eager to learn about all the new reports and tools the new back office brings. Stay tuned for more information and training about the Back Office coming to myOGAcademy. 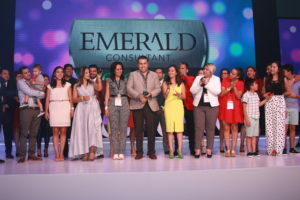 Diamond Carla S. Marin introduced the BeU Family Line to Mexico and explained the reasons why OG is evolving and launching a new product line. The ladies in the audience got really excited to hear about the plans to bring BeU to the region. 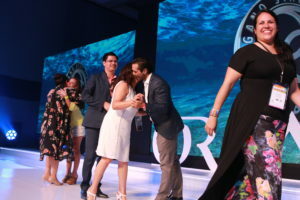 As the pre-launch BeU commercial video was launched at the event, the crowd cheered with the excitement of trying the new product line.